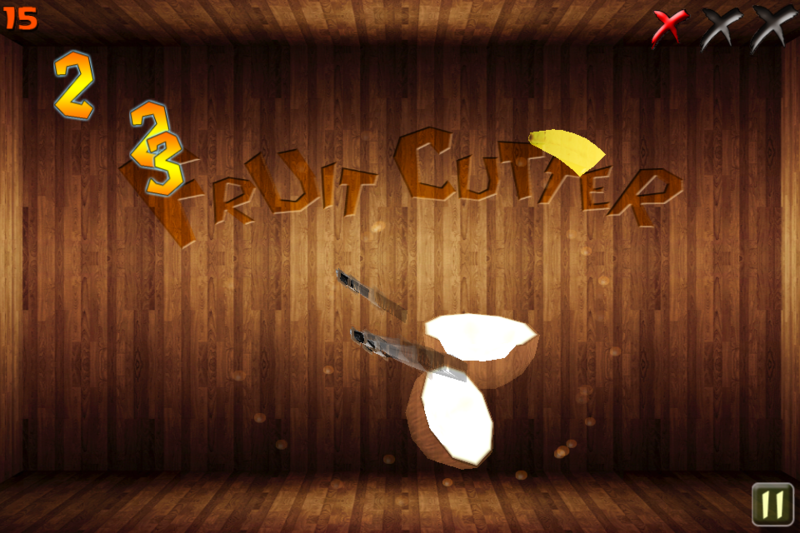 Click on the screen, hit flying fruits with knife. 1. Death Mode: three missed opportunities, and that is the end of the game. Score a hundred on the restoration of a missed opportunity. 2. Time Mode: 1 minute and 20 seconds of game time. 3. 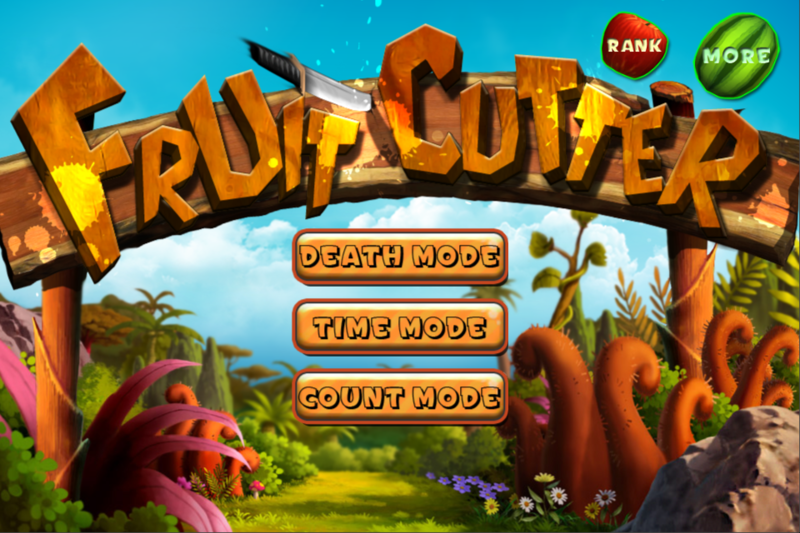 Count Mode: 100 fruits, detect your hit rate. 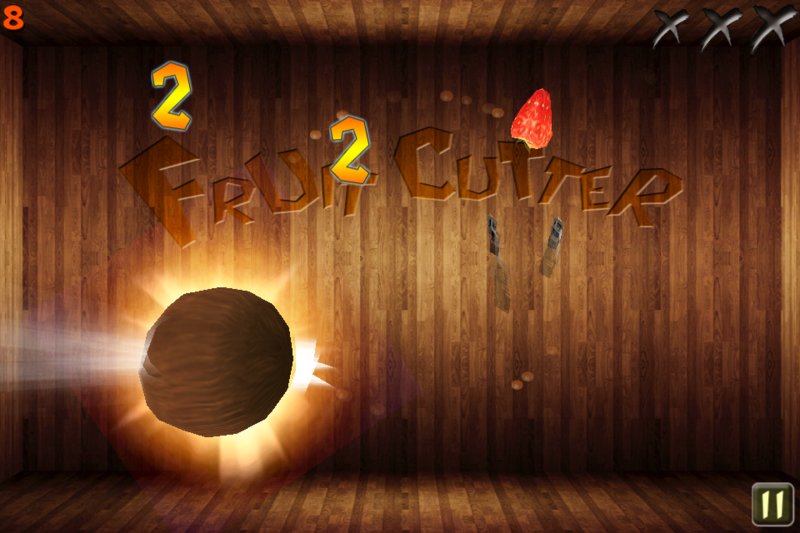 Special fruit: the coconut what you need to hit three times. 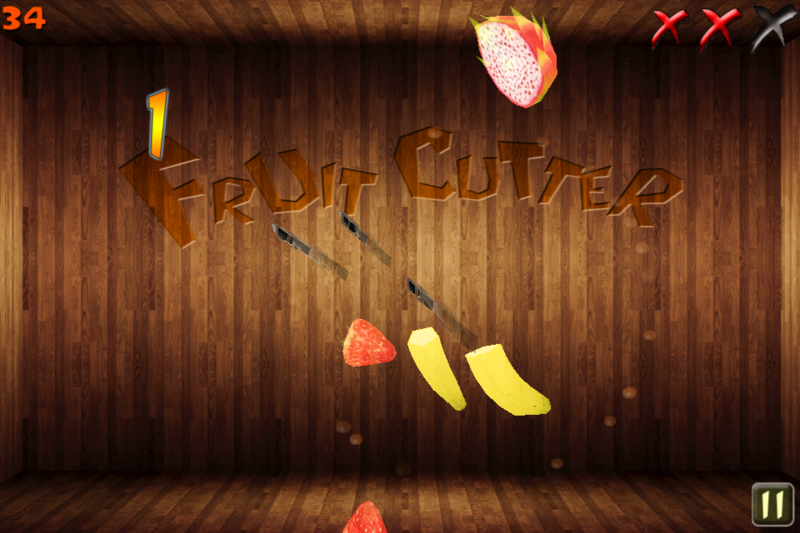 Score: When one knife hit more than one fruit, you will get combos scores. 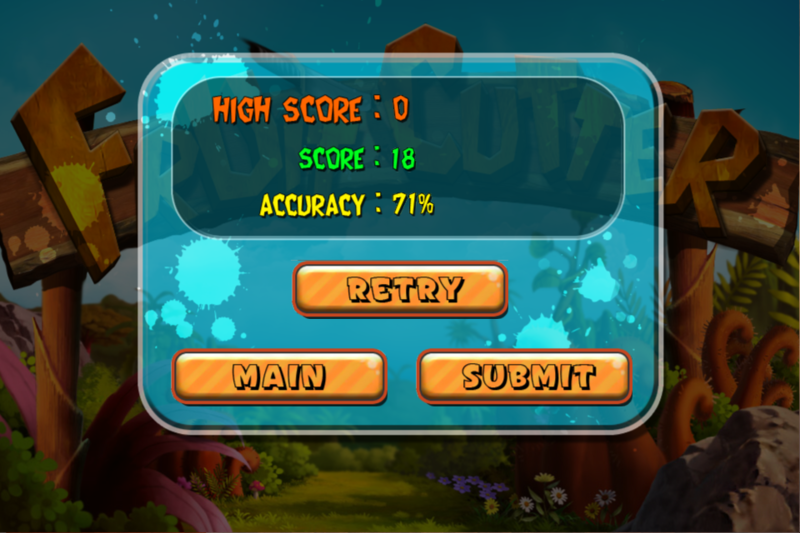 Ranking by score and accuracy.